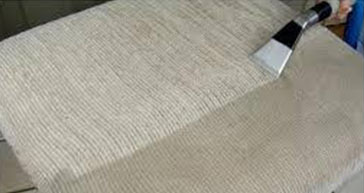 When it comes to cleaning your upholstery, you need to hire a service that uses the best method. It will ensure the company carries out effective cleaning and protect your investments from damage. We are a professional cleaning service that uses the Hot Water Extraction System/Steam Cleaning method. It involves forcing or using a hot water cleaning solution, which is under high pressure into your upholstery and its subsequent removal. 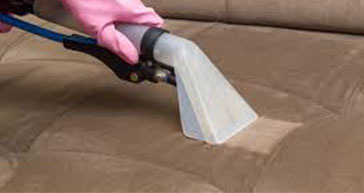 This process offers you the best solution for sofa cleaning. The below article provides you with details on how we go about it. 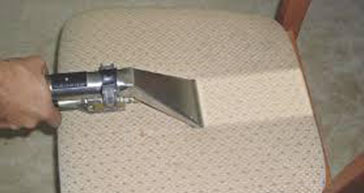 One reason why you should consider our Upholstery Cleaning method is that it's the only system, which can get under the furniture fibres and clean them thoroughly. The water is continuously heated to the required temperature which results in the breakdown of chemical bonds between upholstery fibres and the dirt. It efficiently breaks down grease, soil and other particles for complete cleaning. If you need your couch and armchair cleaned, our operatives will use a powerful machine on wheels which can be brought inside your house with no hassle. Remember that you spend significant amounts of money on your upholstery, meaning you want a service that minimises movements of the settee furniture. The small portable equipment enables us to clean all the upholstery in your comfort of your own home, this means less fussing with moving furniture and it also reduces risk of damaging and stops them from being exposed to external weather elements. The result is work that you're comfortable paying for. 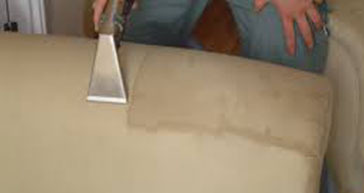 Hiring our upholstery cleaning service ensures you get several benefits. As the above post shows, using the steam cleaning method is the best way for making sure your belongings stay clean and you enjoy a healthy home or office environment. We provide you with written sofa cleaning estimates ensuring prices will not change and warranty for our jobs, which means you can depend on us for your cleaning needs.